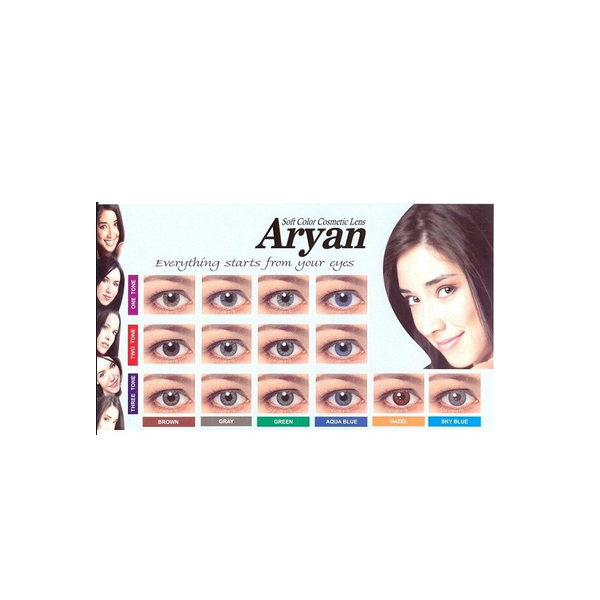 Aryan 3 Tone contact lenses are made in Korea. These lenses are FDA approved. Aryan guarantees factory sealed defect free products. The have a wide range of cosmetic colours available. They have 2 tone and 3 tone natural colours. Even black is available on order. products. They come in six colours namely- sky blue hazel aqua blue brown grey and green. These cosmetic lenses are absolutely safe and completely protect the eyes. Aryan contact lenses are available at mailmylens.com at most competitive prices. Prices are as low as Rs. 700 to 2000 for each lens. You can enjoy your shopping experience at mailmylens"